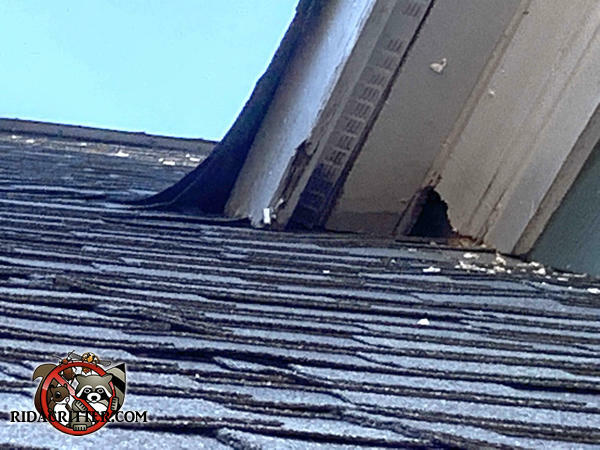 What undoubtedly happened at this Marietta home was that there was a gap between the wooden trim and the shingles at the roof junction, and the squirrels used it as a starting point to gnaw their way into the house. Squirrels and other rodents need a starting point they can wrap their teeth around. They can't gnaw through intact, flat wood. Imagine trying to take a bite out of a basketball, and you'll understand what I mean.